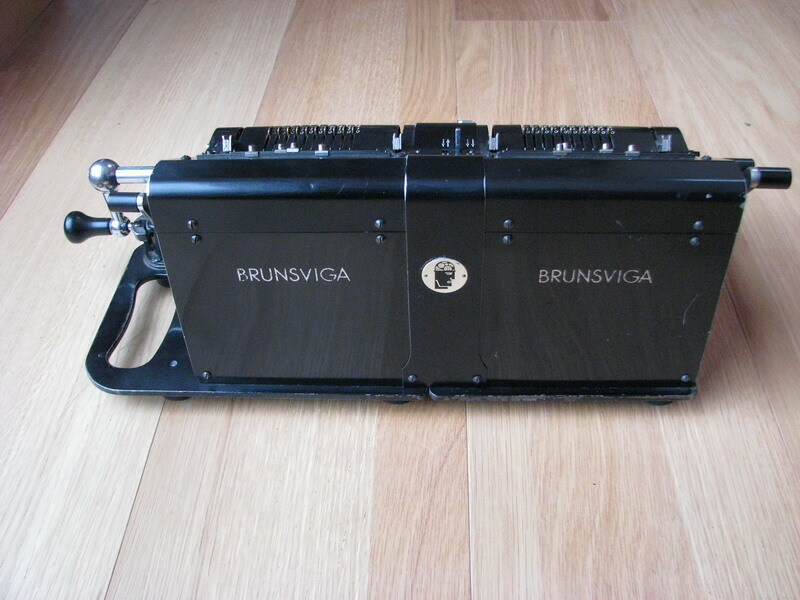 The black from of the Brunsviga geodetical calculator with two counter registers, and holders for the "constant plates" with which to quickly set recurring numbers into the input. 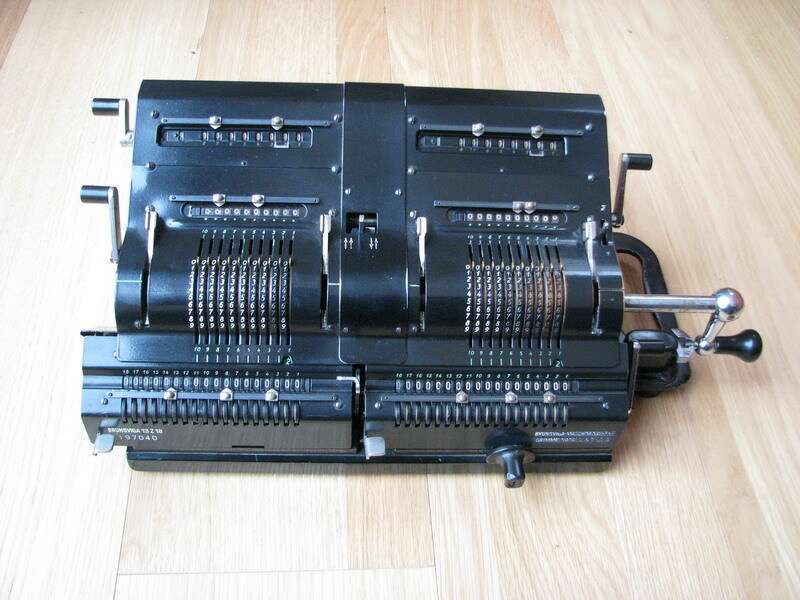 Another notable feature of this machine is the round steel knob on the lefthand side, which manually controls the direction of revolution of the lefthand counter register. 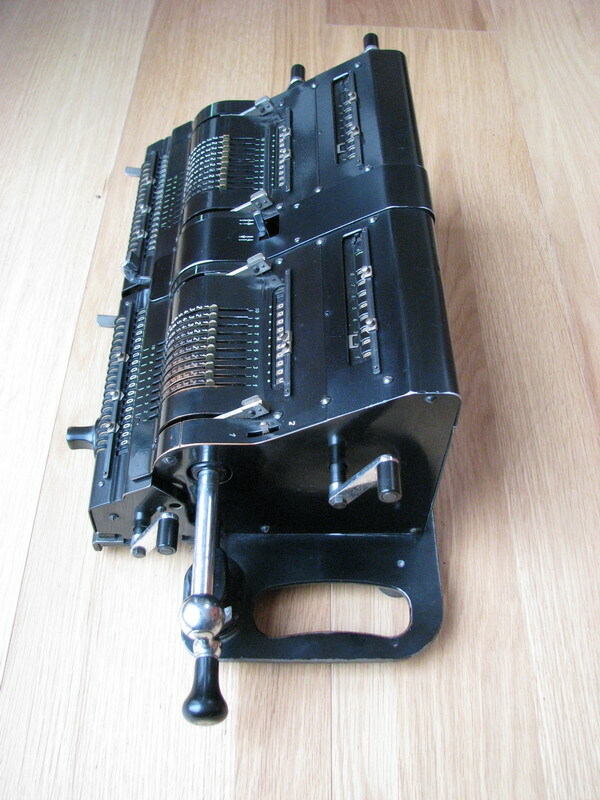 The 1/2 switch on the right controls whether pulling the reset lever on the right resets only the revolution counter, or the input register as well, and the buttons on the front of the carriage unlock the result registers for setting a dividend with the rubber thumb wheels. The machine is cosmetically nice, and also funtions well, but the input is very stiff, perhaps from a misguided attempt to oil it, or dust that accumulated over the years. 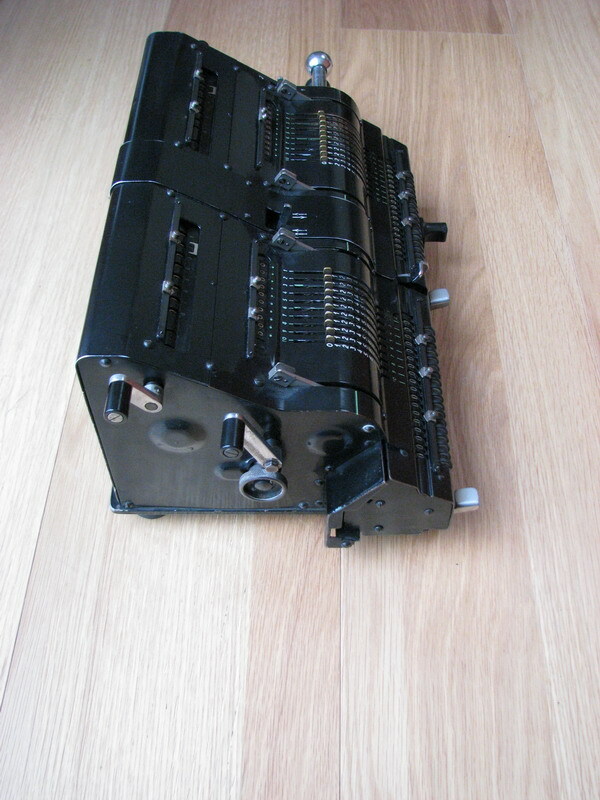 These machines are hell to disassemble, so I've been putting that off for as long as I can live with its current state.